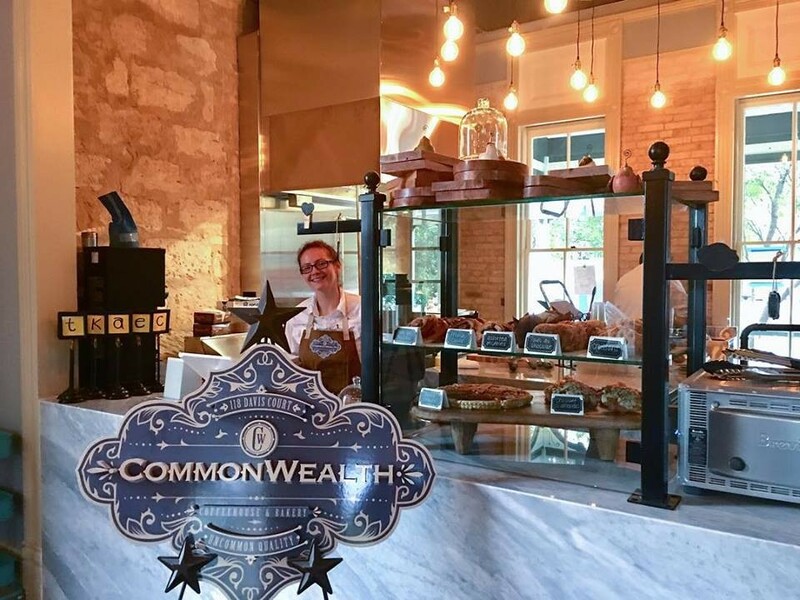 It’s opening weekend for the fourth CommonWealth Coffeehouseand Bakery in San Antonio and the second tenant inside Hemisfair’s Yanaguana Garden. The Koehler House, constructed in 1880, is now a chic and tranquil space with exposed walls, a small kitchen and room for 42 coffee-seekers to sit and work, catch up with friends or go on a date. But there’s plenty of room for more on the giant patio deck, and, you know, the rest of Yanaguana and Hemisfair. CommonWealth joins Paleteria San Antonio as the second tenant to the area with Con/Safos and Dough’s Downtown location on the way. Much like the original CommonWealth location near Incarnate Word University, the Hemisfair outpost will feature a chicken coop, vegetable and herb garden, and an almost identical menu of French baked goods, breakfast tacos and plenty of coffee to go around. This makes the fourth location for Jose Ramon Campos and business partner Jorge Herrero who have partnered with Baptist Health Care System to open two satellite locations (one at Mission Trail Baptist Hospital and Northeast Baptist). More are on the way inside Weston Centre, as well as a 4,200 square foot commissary and roaster near San Antonio College. CommonWealth and Hemisfair will open 7 a.m. to 6 p.m. Tuesday through Friday and 7 a.m. to 3 p.m. Saturday and Sunday. The shop will be closed on Mondays. 434 S. Alamo St. behind the splash pad.